2-storey over raised basement, rectangular-plan, 7-bay classical country house flanked by single bay, finialled ogival-roofed stair towers and single storey over raised basement, 4-bay pavilions. Pink coursed rubble, grey-green at E pavilion, originally harled, ashlar dressings, piended slate roof. Cill course to basement, moulded string course to ground floor, rusticated quoins, margined windows, margined angles and band course at wallhead to pavilions and rear stair towers, corniced eaves course to main building. Originally 12-pane sash and case windows, taller at principal floor, 6-pane to basement. Rebuilt corniced, harled and channelled ridge stacks. 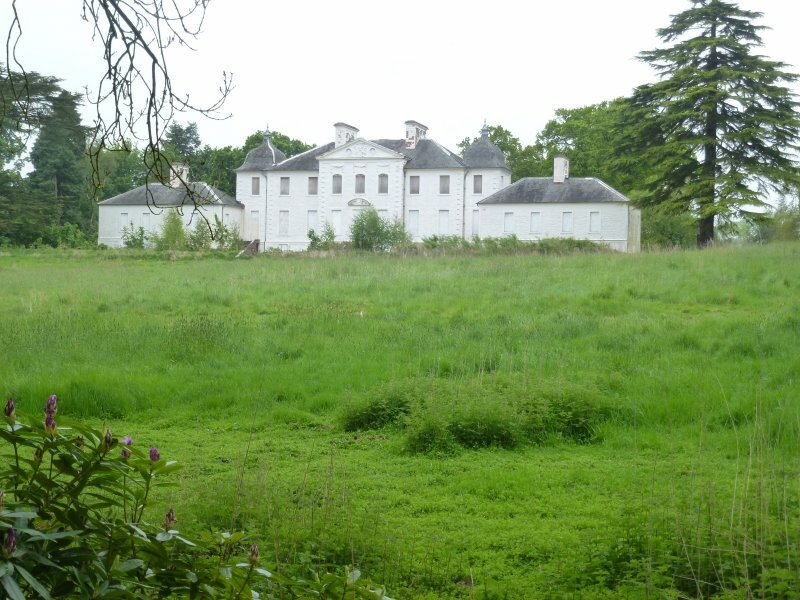 Aug 90: House of Gray, which was maintained in good order until last war, is now vandalised and derelict. By 1975 it was serving as a storage barn for soft fruits, its panelled rooms piled up with giant raspberry canes and the debris of the fruit canning industry. In 1978 it was sold to Mr David Ward who announced a complete restoration programme to cost around £350,000 for conversion to 4 flats, for which he received £62,000 from HBC (£69,000 plus £10,00 from local authority had been approved). House of Gray Ltd took over but, with the company being wound-up, the house has now been put on the market. A serious recent set back to the re-roofing project (being carried out by Simpson & Brown Architects) was the theft of all the re-instated roof lead in July 1990. 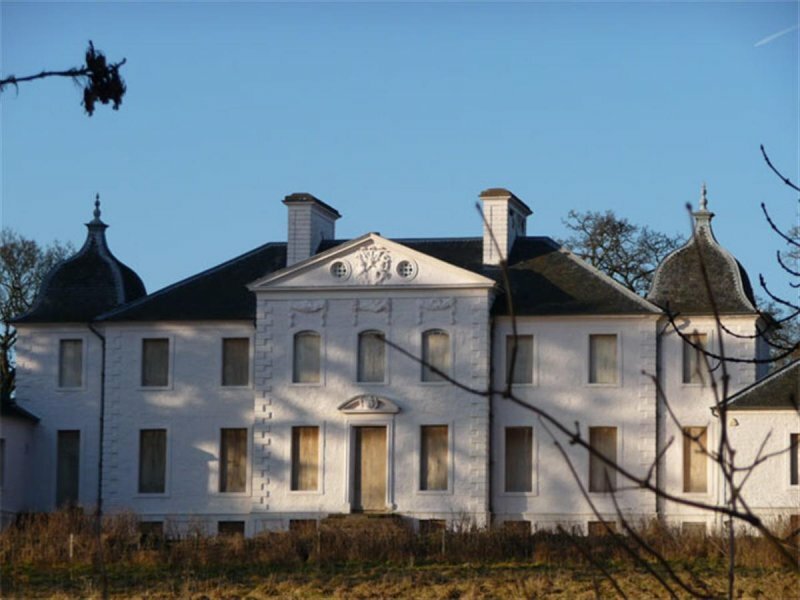 July 1991: House of Gray Ltd sold to a group of investors who have secured the financial backing of Historic Scotland and Scottish Enterprise Tayside for a £2 million redevelopment as an 40-bedroom hotel, restaurant, conference centre. Aug 93: Restoration of main house well underway and applications submitted for the erection of a functions and bedroom extension. 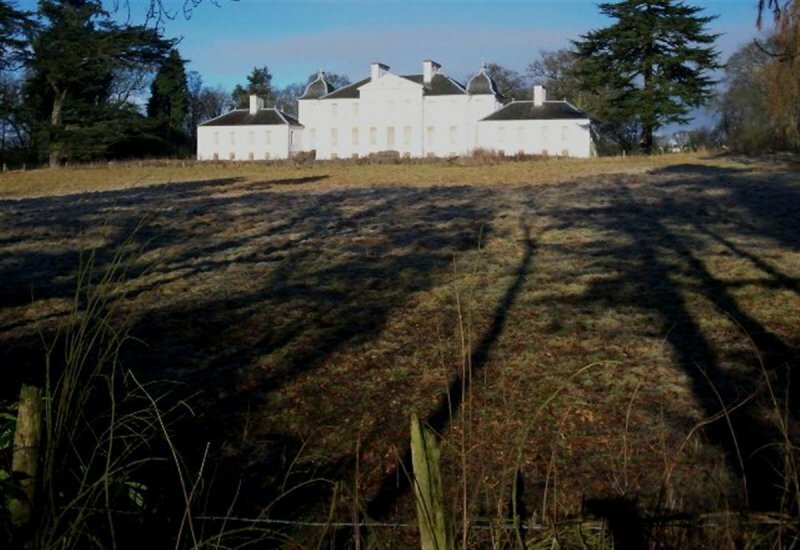 1994: Further grant aid from Historic Scotland sought for the house. Oct 94: Exterior work completed. Mar 95: permission granted for extension. It was hoped that this would be funded by the building of new houses in the grounds. This is now thought to be unlikley following objections to this aspect of the Local Plan. Golf course application to be submitted shortly. Oct 97: application for extension/alteration to house to form hotel with associated conference facilities, dining and bar and parking approved. Feb 99: no further development; but wind and watertight. Feb 02: Planners are unaware of any change. May 2003: Local planners report that the exterior is fully restored, and much of the interior is now in hotel use. The basement remains incomplete, but is to be restored. 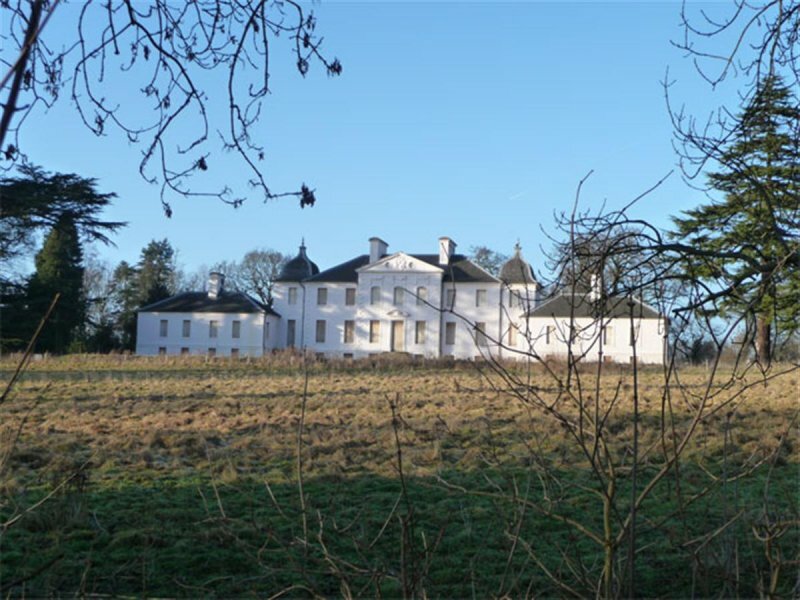 January 2005: Following external renovations the property is placed on the market for the final phase of internal restorations. January 2009: External inspection reveals that the house is once again vacant and boarded up. February 2010: External inspection finds the house appears to remain largely unchanged from the previous visit. The windows are boarded up and gutters appear to be being kept clear. September 2010: Dundee Evening Telegraph reports on concern for the future of the House of Gray. The article notes a number of restoration plans have been drawn up, but none have fully completed. September 2011: A member of the public advises the House of Grey was used as an orphanage at some point during the 1940s - their aunt and her siblings stayed at the building during this period when it is thought to have been run by The West Ferry Road Orphanage to house around 50 orphans. 27 November 2012: Local planners advise the building remains at risk. 27 May 2016: Limited external inspection possible. There are missing/ slipped roof slates and sections of flashing/ valleys appear dislodged or removed - possibly indicating an attempt at metal theft. Paint is peeling from the chimney stacks and sections of the walls. Windows and doors remained boarded. The building remains disused. Condition moved to Fair from Good. 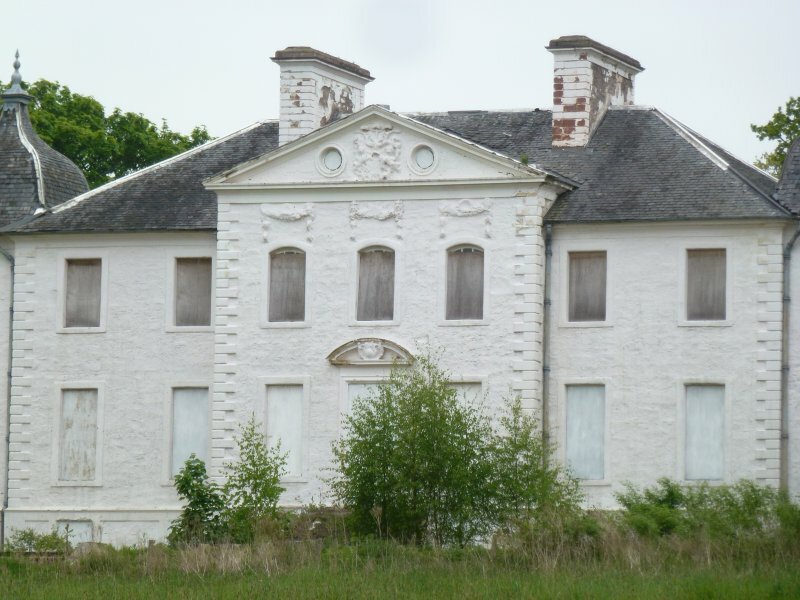 18 May 2018: A member f the public advises one wing of the house has been graffitied and boarding has been removed from some openings. 24 July 2018: A member of the public advises, as previously noted, the building appears to have been subject to ongoing vandalism.